YES! 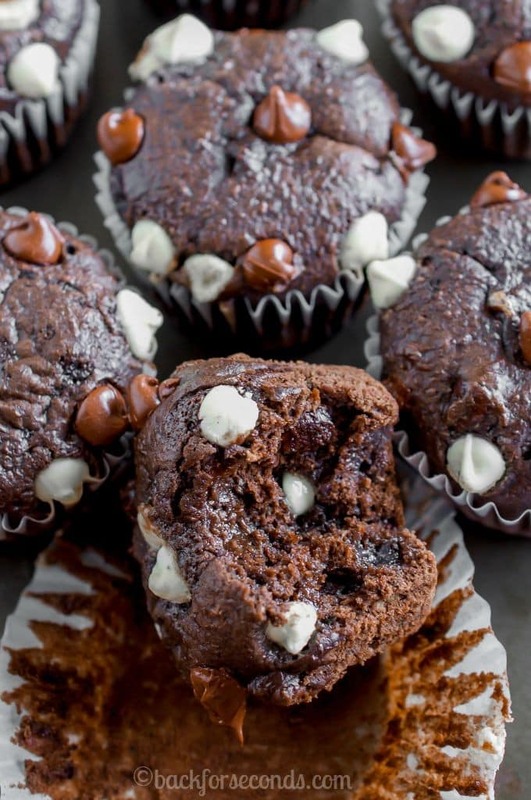 I love that you added zucchini to these decadent muffins! These muffins look sinfully delicious! I love how chocolately these look! Nice and moist too! This just might be the best zucchini recipe ever! And the great news is, I have some zucchini to use up! 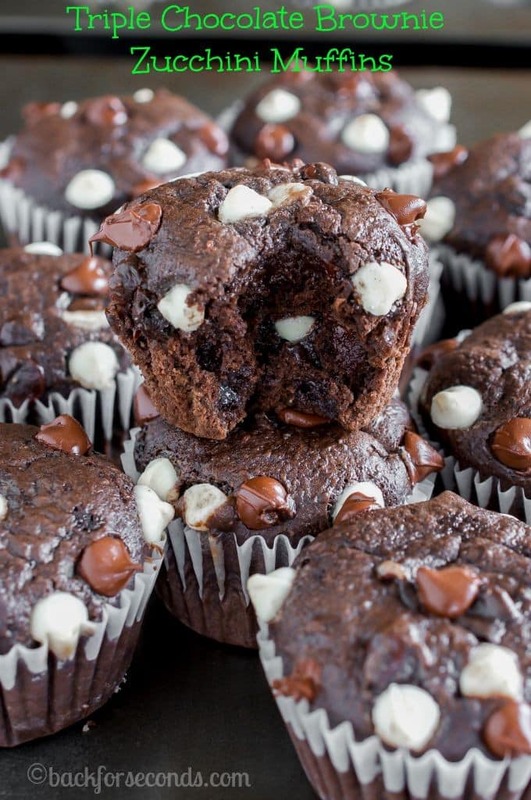 Your muffins look incredibly moist and delicious. I have lots of zucchini to use up so I’m going to use your recipe and make your muffins. Thanks. 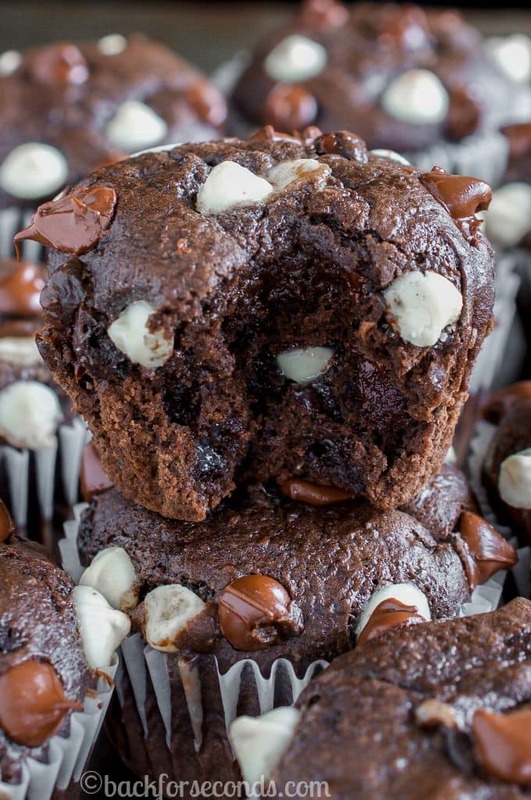 Sign me up for anything that’s Triple Chocolate! 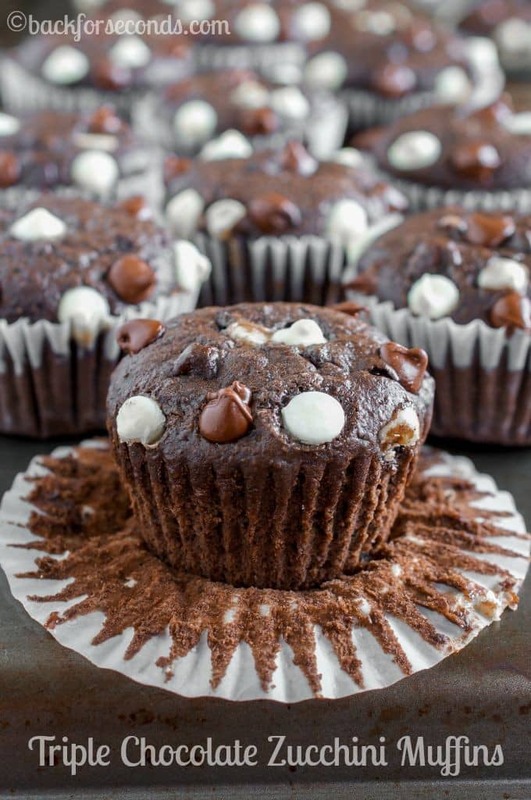 I’m all more muffins but when they taste like brownies I’m all for that! Heading to the farmers market this weekend to pick up more zucchini! I know what I am doing with my garden zucchini! YUM! These look so rich and fudgy – great way to use up any zucchini!